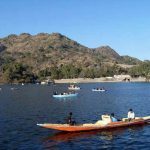 Mount Abu – A Celestial Tryst With Nature! With the sun hitting Delhi mercilessly with its scorching rays, my mind was abuzz with questions- ‘where to escape’ , ‘where to escape’ and ‘where to escape’? 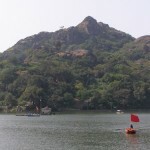 I sat down to browse internet and finally decided to explore Mount Abu. I reached this wonderful hill station of Rajasthan by train. I was booked in Cama Rajputana Club Resort. 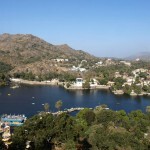 I arrived in the room, dumped my luggage and rushed to the window to savour the panoramic views of Mount Abu. beauty and pleasant climate, one of the hotel executives approached me. He warmly greeted me and started a conversation. He told me about the history and attractions of this destination. 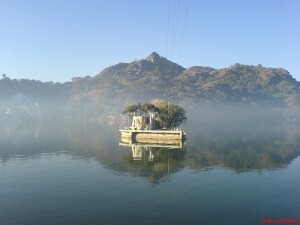 Located at an altitude of 1220 m, Mount Abu attracts tourists from far and wide. It is situated in the beautiful Aravalli range of Rajasthan and is a perfect place for nature lovers. Abu. It is believed that the lake was dug by the heavenly deities with their nails. It is surrounded by beautiful mountains, gardens and rock formations, which add more charm to it. I decided to come back to the lake in the evening to capture sunset views. It is a great location for photography. Fashioned by nature in the form of a toad, the toad rock at Nakki lake is a fascinating attraction. The rock lies overhanging the lake. Next I moved to the enchanting Dilwara Jain Temples, which are renowned the world over for their architectural excellence. Their intricate stone carvings are simply incredible. 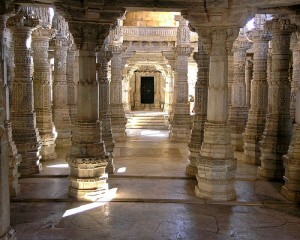 The carvings of the ceilings and the pillars are truly unmatched. The history of these architectural wonders dates back to the period between 11th and 13th century AD. The temple complex is surrounded by the gorgeous green hills. Post lunch, I visited Gurushikhar, the highest point in the Aravali mountain range. From here I captured picture-perfect views of the town of Mount Abu and the Aravali Range. My guide Rahul also took me to the temple of Guru Dattatreya, which holds great mythological significance. As the day was drawing to a close I reached the Sunset Point, which is famous for offering breathtaking views. I was completely bowled over by the breathtaking sunset views. Mesmerized, I came back to the hotel.